Life Is R O S W E L L WATCH IT!! 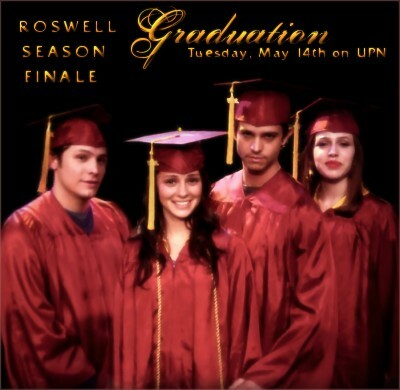 GRADUATION - THE LAST NEW EPISODE AIRS TUESDAY, MAY 14TH ON UPN 9/8C!! WATCH IT!! I'm Angela Wilson and I will never look at a t.v. show in the same way again. I'll never look at anything the same way again. What did Roswell mean when they said, "I'll see you next week at 9pm?" Was it "I won't be able to breathe until we meet again" or was it just something someone says to, like, fill space? And what are they thinking right now? Are they also obsessed, tortured, going through one sleepless night to the next, wondering what's going to happen to them next on the show? I fell in love with this show from the very start. There is just something about this show that draws us all in. It is so compelling in many ways. I am a "Roswell fanatic" and I like it. I am here to share with you my joy and tid bits about the show. I hope you all enjoy. If you want to chat and have AOL Instant Messenger, you can find me as "bucangel13" or on msn messenger as "angelicbb". 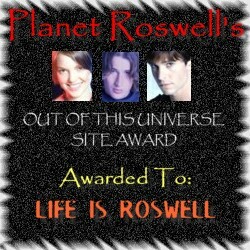 In Fan Forum, I am known as "LifeIsRoswell". I just want to give my prayers to everyone touched by the tragedy on September 11, 2001. My heart goes out to you all. 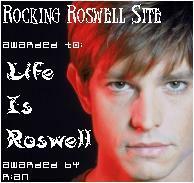 ROSWELL THEME SONG - DIDO "HERE WITH ME"
This is just a fan site appreciating Roswell. This web site is not affiliated with The WB or UPN in any way. ROSWELL is the property of Regency Television, 20th Century Fox TV & UPN. No copyright infringement is intended. 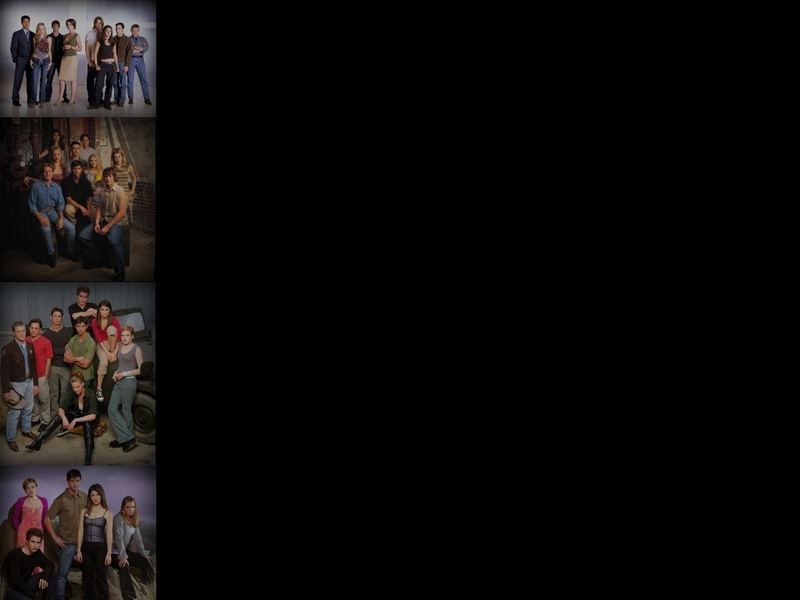 My link banner created by Tanesha.